I hope everyone is having a wonderful weekend! I really wish I could post more but work has really got me busy this year. Anywho, here is an outfit I wore earlier last week. I’m not the biggest fan of yellow, but I remember really liking this shirt when I tried it on at the store a while ago. 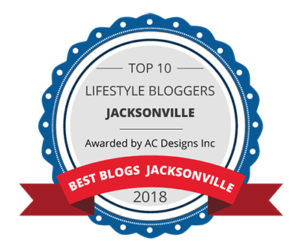 Today was a gorgeous day in Jacksonville!!! The weather was perfect… not too hot and definitely not too cold. I planned on staying in today and doing some work around the house but I just had to get out and about in the city so ofcourse, your girl had to try a new spot to eat!!! 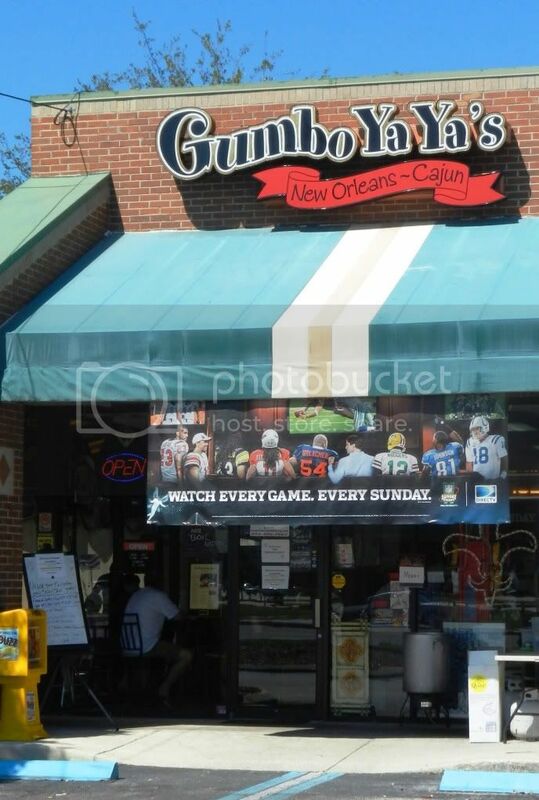 I went to Gumbo Yaya’s!!! 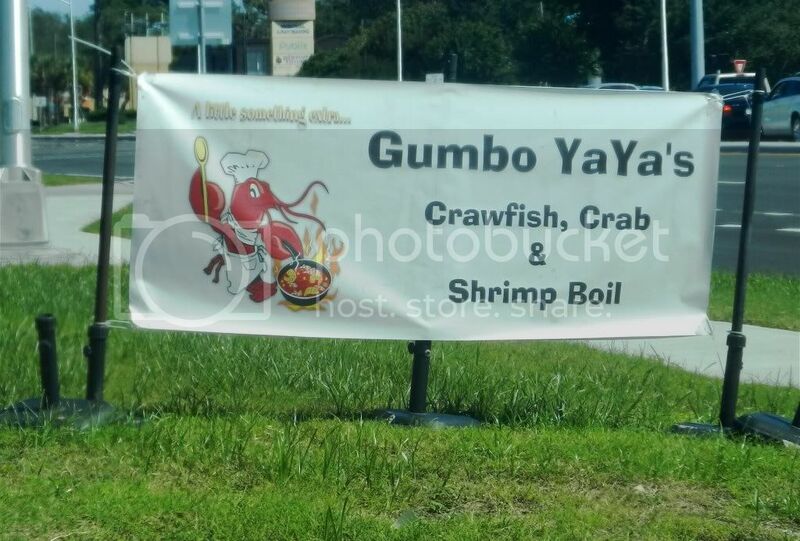 My mommy is from Louisiana so when I first saw Gumbo Yaya’s coming from the beach one day, I made a mental note to come back and try them out. I’ve had my fair share of Cajun cuisine so I wanted to see if the food tasted authentic!!! 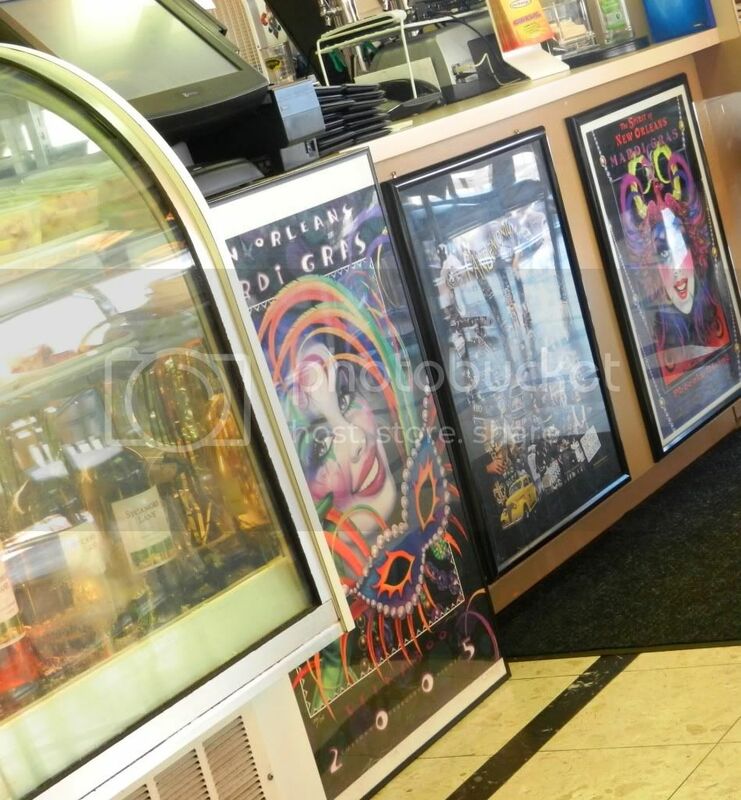 as well as Mardi Gras decor inside! It was very inviting and seems like a great place to go to catch a good football game! 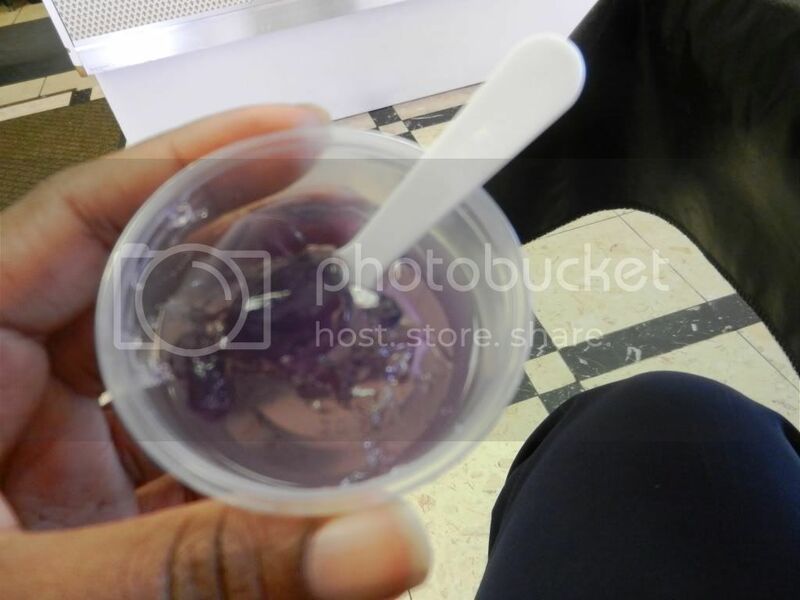 They had complimentary Grape and Pineapple Jello shots for their patrons. 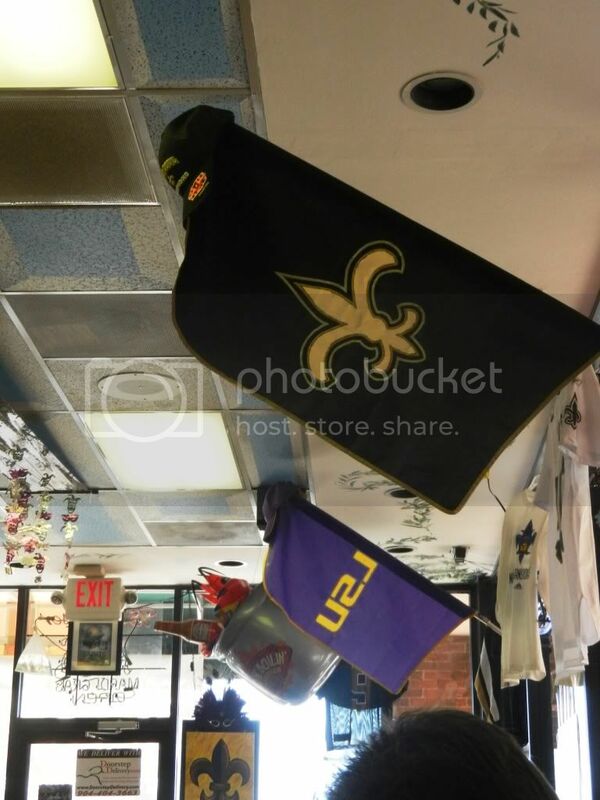 (LSU colors) Neat idea! I got the Grape flavored shot and that little thing packed a nice little punch!!! Although a good ole’ crawfish boil sounded enticing, I wasn’t planning on dining in so I got some of my New Orleans favs to go! 1.) 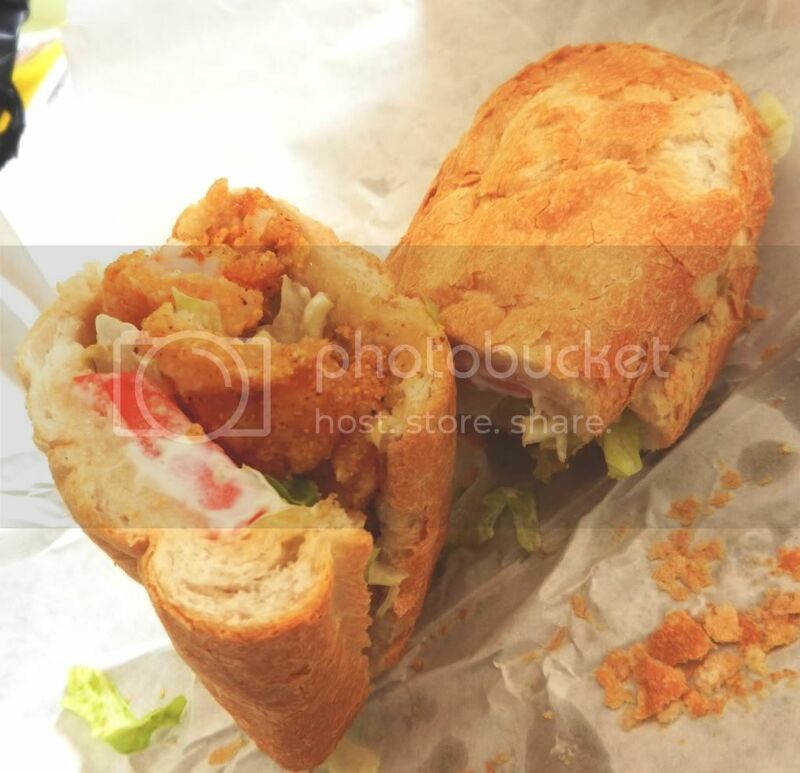 Shrimp Po-Boy: This po-boy was very good! It tasted just as good as the ones I’ve had in Louisiana! The bread was perfect! Crusty on the outside and chewy on the inside. The lady at the register, who I believe is one of the owners, said the bread is shipped in from New Orleans. 2.) Boudin Balls: Huge disappointment! The easiest way for me to describe boudin is to say it’s a flavorful “dirty” rice in a casing. You squeeze it out of the casing and eat it! LOL! 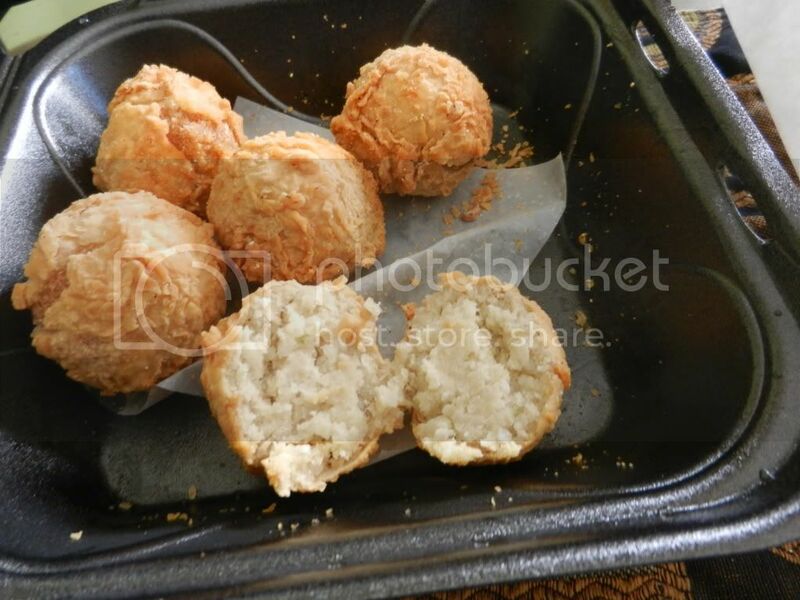 To make boudin balls you take the rice and dip it in a batter and fry it. Well the boudin balls here had ABSOLUTELY NO FLAVOR!!! I was sorely disappointed. I had hopes that one of my N.O. favorites would be available for me in my city. Oh well can’t win them all. 3.) Seafood Gumbo: Last but not least, I had to….HAD to try the Gumbo. Though the gumbo had a lot of flavor and was loaded with shrimp and crab, it didn’t taste like what I’m used to. It was too thick. I guess there’s nothing like homemade. 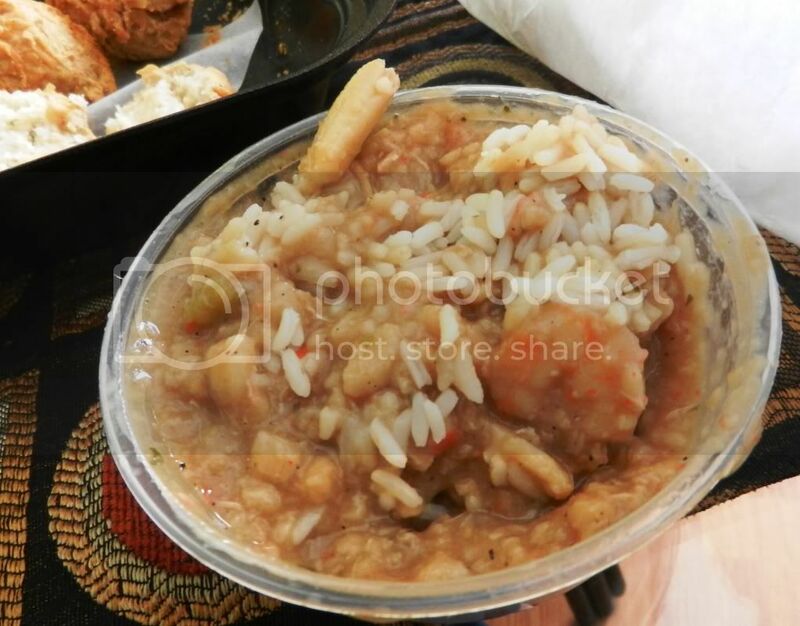 It tasted like the gumbo you can buy in a soup can at you local grocery store. Itwasn’t bad, but wasn’t anything to write home about. Overall, Gumbo Yayas gets a “B” from me. I’ll definitely go back for the Po-Boys! Maybe the second time will be the charm! 🙂 Well that’s all for now lovelies. I will be back ASAP!!! Enjoy the rest of your weekend! Love the yellow top! I am so glad the weather has cooled down a bit. Can't wait for "fall" weather! I love yellow on brown skin tones! Girl I'm sad about the gumbo, it looks so good in the pic but I understood exactly why you were disappointed from your description. Love the yellow and white, so fresh. The top is fabulous. 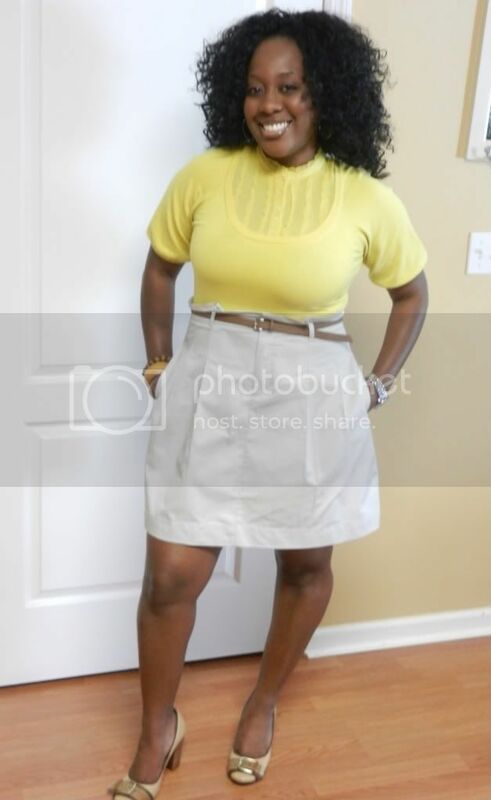 Yellow looks lovely on people of darker skin tones(African descent) and it sure looks fabulous on you! Nice outfit, I wasn't sure at first glance about the yellow top but when I scrolled down and saw the entire outfit, I really like it! ;)Your pictures make everything look so awesome! Yellow is your color boo, lol…gotta say your always on point! Smooches & Blessings! That color is PurrrFect on ya! 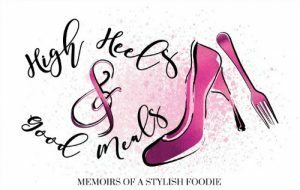 And hmmm those shoes…Those shoes.